I was recently asked if I had any tips concerning how to photograph doors. On the surface this may seem to be a simple task but if you have ever tried this for yourself, you will probably have found it can be quite challenging. 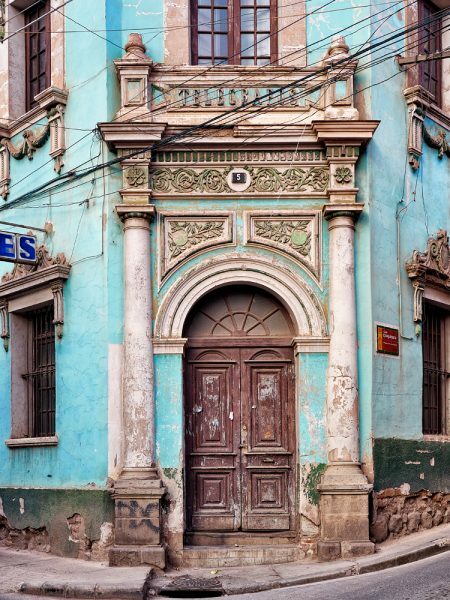 Here then are my top tips for capturing great photographs of doors. Take a few steps back and use a lens with a longer focal length. Many people get too close to the subject and tend to use a wide angle lens in order to capture the entire door. This can cause problems where the distortion caused by the wide angle needs to be corrected. It’s much better to shoot from across a road using a slightly longer lens. There is much less distortion and it helps you achieve a better framing of the image. Work in the best light. It’s often tempting to shoot doorways in bright conditions but direct light will cause you a problem. Doors tend to be set back in their frames which then cast shadows. Whilst our eyes may see easily into these shadows, the cameras exposure system won’t. The result can be dark ugly shadows that detract from the image. Often having the door in shade or shooting on an overcast day will produce better results. Shoot with the camera in RAW format. If you do find you need to shoot a door with bright light falling on it, if you shoot in RAW format you will have more flexibility to control the highlights and shadows. Try to suggest a story with your image. Doors are the barrier between two worlds. There is the outside world that you are part of and there is the world inside which can’t be seen but which you might be able to hint at. 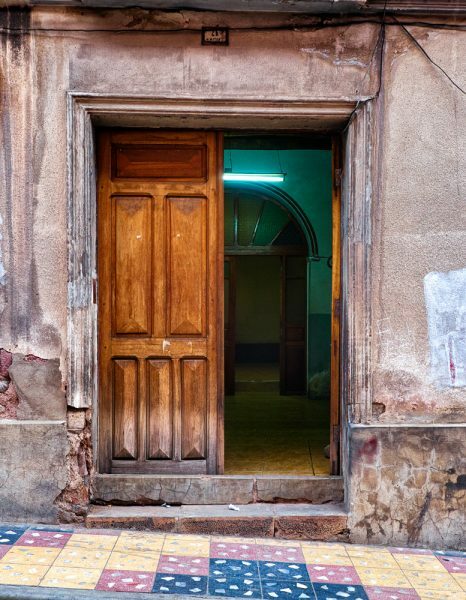 Photographing a door that’s open and allows a glimpse of this other world can send a powerful message. Frame your image very carefully. Why are you interested in this door? Is it the door or is it the setting of the door? Could including some of the surrounding wall provide more context? You may find that the door itself has little interest but set in its surroundings, it becomes much more interesting. If you frame your image so that you crop out the surroundings you may produce a much less interesting image. Minimise lens distortion. We expect doors and doorways to be square so any distortion from the lens tends to be picked up very quickly by the viewer. Try to minimise this by shooting with a prime lens or a very good zoom lens which will have less distortion. If you don’t have access to high quality low distortion optics, be sure to correct the distortion in post processing. Tools such as Lightroom and the Photoshop Lens Correction filter are very good. Keep your camera upright. It can be easy to tilt your camera slightly when shooting a door in order to frame the image. Try to avoid this and instead keep the back of the camera parallel to the door. When you tilt the camera you introduce distortion and convergence where the sides of the doors will slope inwards. Select a mid-range aperture. If your shooting with a full frame camera, then f/8.0 to f/12.0 is about right. It’s very easy to have too little depth of field and end up with soft edges, especially if you tilt the camera slightly. Leave a little wriggle room around the edges of the frame. If the door goes directly into the corners of the frame you might find the corners aren’t sharp. This is especially true if you lens isn’t of the highest quality. By avoiding placing important elements of the image in the corners, you will have scope to crop the image later if the corners of the frame are soft. You probably won’t be able to follow all of the tips all of the time but even using a few of these can help improve your images when you photograph doors.